Every day, people upload 4 million hours of content to YouTube, bloggers, businesses and brands publish 2 million blog posts, and the chattering masses fire out over six hundred fifty-six million tweets. The internet is a busy place. Every platform, every channel, and every notification demands your attention, but let’s be honest, very little content out there is worth your time. Time is precious, so it’s crucial to sort the wheat from the chaff. 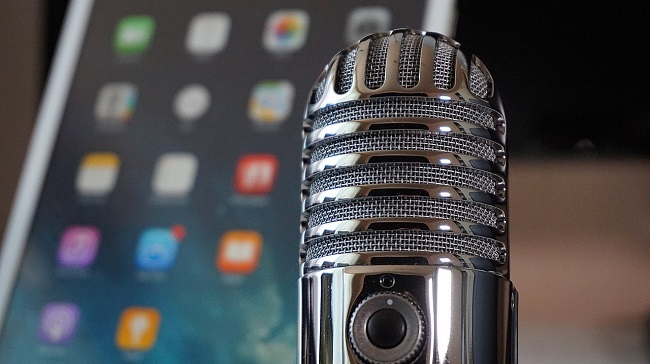 We’ve already shared our top YouTube channels to help you become a better business leader in 2019, and now we’re turning our focus to podcasts. Have a read, and find out what you should be listening to this year. Venture capital firm a16z backs tech-led entrepreneurs, from seed right through to late-stage businesses. As you’d expect, this Silicon Valley team’s podcasts tend to have a technological slant, but guests are diverse and include everyone from university professors to authors, and sports analysts to IT company directors. Blair Enns (CEO of Win Without Pitching) and author, advisor and speaker David C Baker are the 2 Bobs—the name deriving from the movie Office Space. “Conversations on the art of creative entrepreneurship” is their strapline, with the pair taking turns to interview each other on a different topic every week. The Harvard Business Review team upload a new podcast each week, hosted by executive editor (and favourite on the speaking circuit) Sarah Green Carmichael. Every week, she speaks with a different leading thinker in business and management, with recent episodes having included consultants, communications experts, and professors in history, business, strategy and marketing at top universities. Winner of 2018’s People’s Voice Webby for Best Business Podcast, Masters of Scale is brought to you by LinkedIn co-founder and Greylock investor, Reid Hoffman. Each episode features a different theory on how businesses can scale successfully and tests this theory by interviewing a business leader about their journey. And it’s big, with previous guests including Daniel Ek of Spotify, Kevin Systrom of Instagram and Mark Zuckerberg. The FT’s Business Education Correspondent, Jonathan Moules, hosts the paper’s sporadically-produced podcast, chatting with entrepreneurs from various industries about their stories. From entry through to exit, there’s plenty of inspiration here for anyone looking to grow their brand. Topical interviews, industry insight, expert editorial content...the Business Leader Magazine Podcast is undoubtedly varied. Generally, the team produce at least one episode a month, featuring interviews with guests as diverse as Bristol City FC owner Stephen Lansdown and Dragons’ Den’s Deborah Meaden. It may have been a while since The Guardian last produced an episode of its Business Podcast, but previous recordings are well worth a listen. Their “Confessions” series share the highs and lows of starting a business, while the “Meet the Mentors” episodes bring together a high-profile entrepreneur with someone just starting out to offer advice. National Public Radio’s Guy Raz is the man behind their TED Radio Hour, as well as the How I Built This podcast. Focusing on entrepreneurship, it became one of the top 20 downloaded podcasts in the US in 2017. In each episode, he interviews a different innovator or entrepreneur—including the founders of Method cleaning products, Lyft and Airbnb - in a format that tells the narrative journey of their approaches. Radio anchor and journalist David D. Brown presents Business Wars: a podcast telling the stories of how brands have adapted to compete successfully with both incumbents and rising challengers. Napster vs. the record labels, Red Bull vs. Monster, Xbox vs. PlayStation: there are some great, real, unauthorised stories of what drives these brands’ leaders to succeed. While you can learn about great leadership from great business leaders—one of the USPs of the Dose of Leadership podcast is that it also draws from less obvious sources of inspiration. As well as CEOs and entrepreneurs, you’ll learn from faith-based leaders, military heroes, authors and more, giving plenty of inspiration from all walks of life. So there we have it. Ten very different podcasts from a variety of hosts, but all with one thing in common: they’re packed full of insight, inspiration and actionable advice to help you become a better business leader for 2019 and beyond. Missed your favourite? Let us know on Twitter. We love a good podcast, but they’re no replacement for real life events. Take a look at some of the great Vistage events coming up.